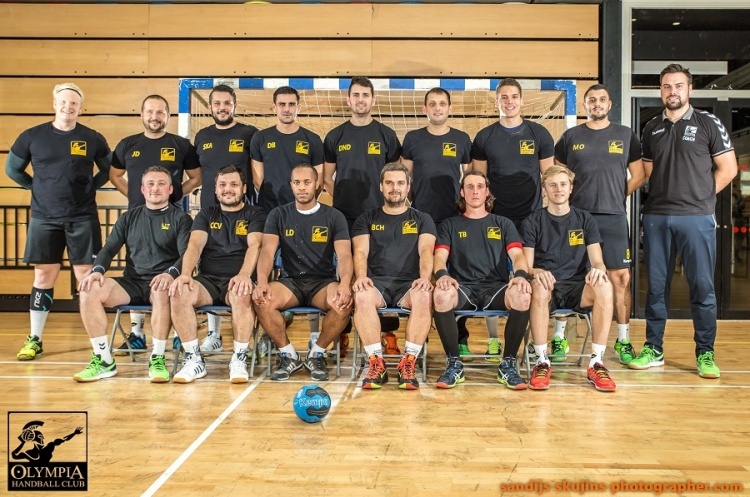 Olympia host London GD at Sporthouse on Sunday in a title showdown in the Mens’ Premier Handball League. Saturday sees West London Eagles against Liverpool in a big match at the bottom of the table, while Warrington Wolves travel to play Cambridge, and Nottingham take on NEM Hawks. Olympia sit two points behind GD, who also have a goal difference advantage over Olympia of three. However, Olympia know that victory by two goals or more would see them crowned champions. GD have an eye on the league and cup double, and will be bidding to get the first part of that chalked off on Sunday in what is certain to be a tense and exciting clash. Throw-off is at 15.00. At the other end of the table there’s a crucial match at Leyton Score Centre where bottom side Liverpool play West London Eagles. Liverpool are five points behind Eagles but have a match in hand. If they beat the London side then Liverpool still have a mathematical chance of finishing above Eagles when they go into their final match of the season, against Nottingham on 12 May. However, a draw or win for Eagles will ensure they finish seventh. Throw-off on Saturday is at 16.30. Warrington Wolves face Cambridge with a third-place finish in their sights. A draw or victory will put them out of reach of NEM Hawks, who currently lie fourth. Wolves suffered a narrow defeat at the hands of GD in their last match, after beating Olympia previously. Cambridge returned to winning ways in their last game as they edged past Hawks in a close encounter. Throw off at Sporthouse on Saturday is at 15.30. Hawks travel to Derby Arena to play Nottingham. Hawks know that if they win and Wolves draw or lose, or if they draw and Wolves lose, then Hawks will claim third spot. Hawks defeat against Cambridge brought to an end a four match unbeaten run, and they’ll be hoping to find that previous form against a Nottingham side who’s last win came against Hawks in the reverse fixture six matches ago. Throw-off on Saturday is at 17.00. Get down to your nearest match and watch the most exciting, high scoring, action packed, contact, team sport that can be played anywhere by anyone.